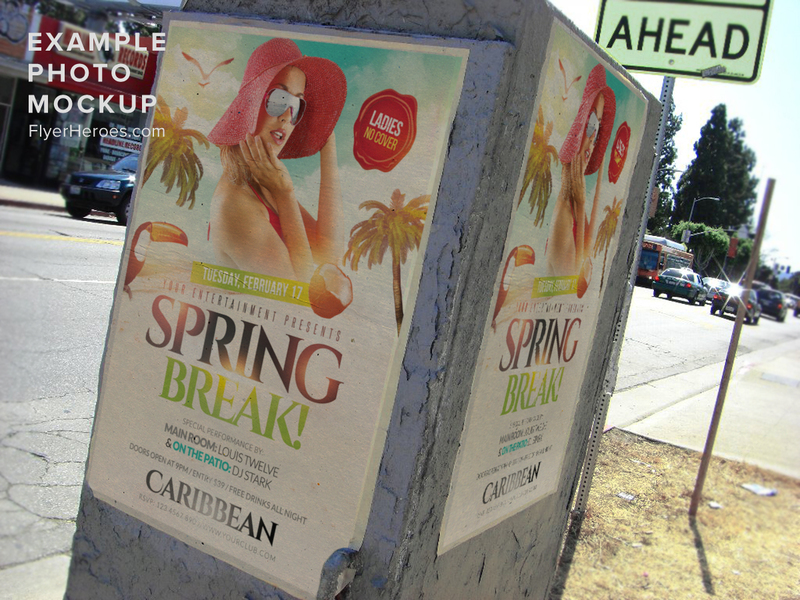 Palm trees, coconuts, tropical birds and a beach – what could say Spring Break more than that? 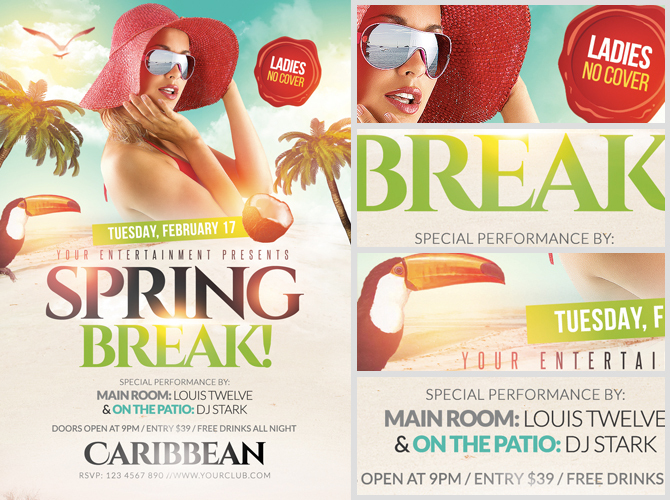 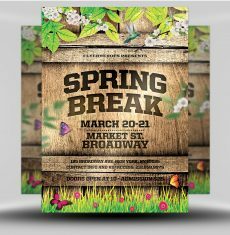 This Spring Break Flyer Template is an easy to use Photoshop PSD designed by professionals. 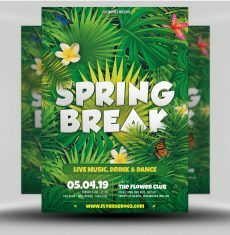 By using this template, you can easily promote your Spring Break party with professional quality flyers that you’ve made yourself! 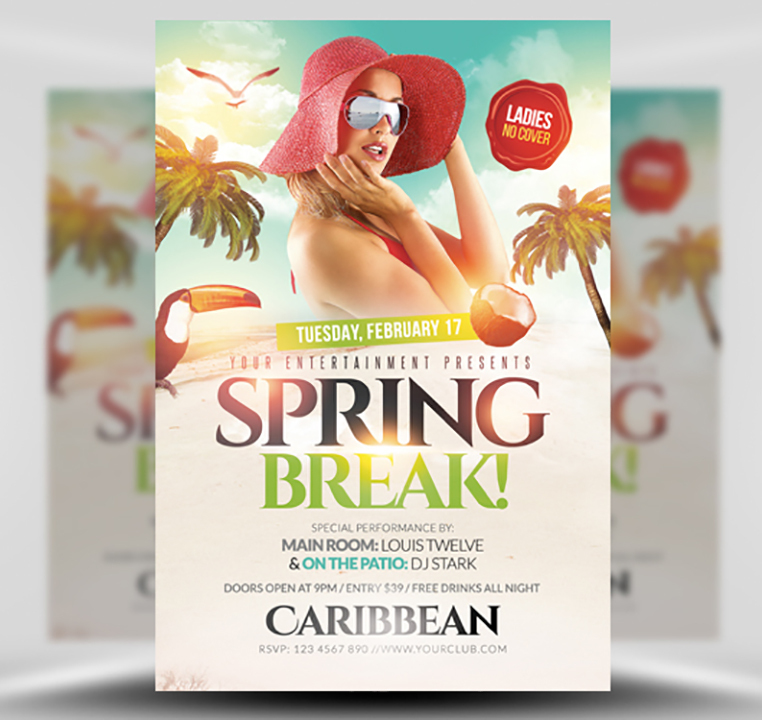 With a large title and multiple text areas, there’s plenty of room for you to insert information about your event. 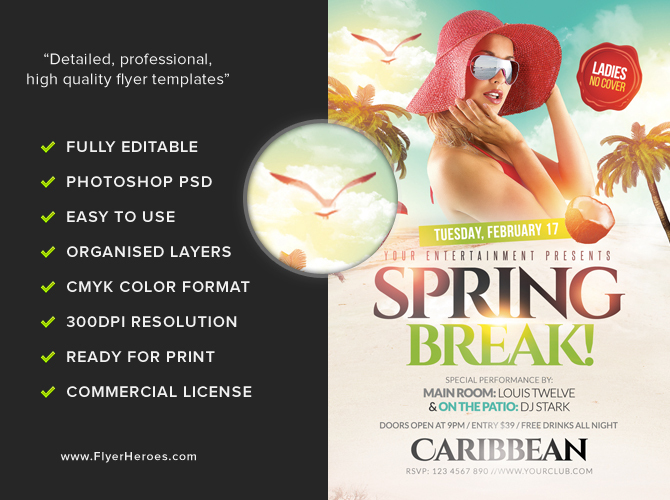 Simply place in your own photos, edit the text in Photoshop and you’re ready to print your flyers! 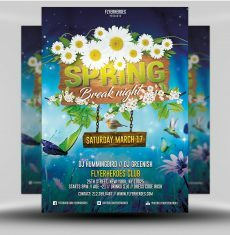 Spring Break Flyer Template is a premium Photoshop PSD flyer / poster template designed by FlyerHeroes to be used with Photoshop CS4 and higher.